The Croft site lies within the London Borough of Barnet, and forms part of a 1970’s housing estate built on land between Burnt Oak Tube Station to the SE and Edgeware Community Hospital to NW, and between Burnt Oak Broadway (part of Watling Street) to the SW and the Silk Stream to the NE. There is an opportunity to improve amenity for existing residents by strengthening building lines and making streets spaces more legible, removing left over green spaces and more clearly defining public and private ground, and creating safer, more secure places to park. 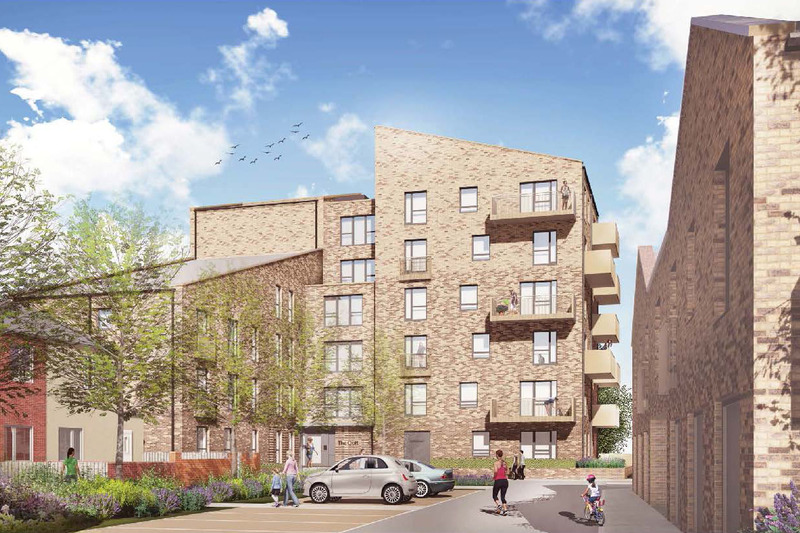 Two flat blocks, and two mews blocks each with a pair of flats over garages will be built. They will provide a total of 36 new homes. There are 7 flats in Flat Block A, 25 flats in Flat Block B, and 2 flats in each of the mews blocks. 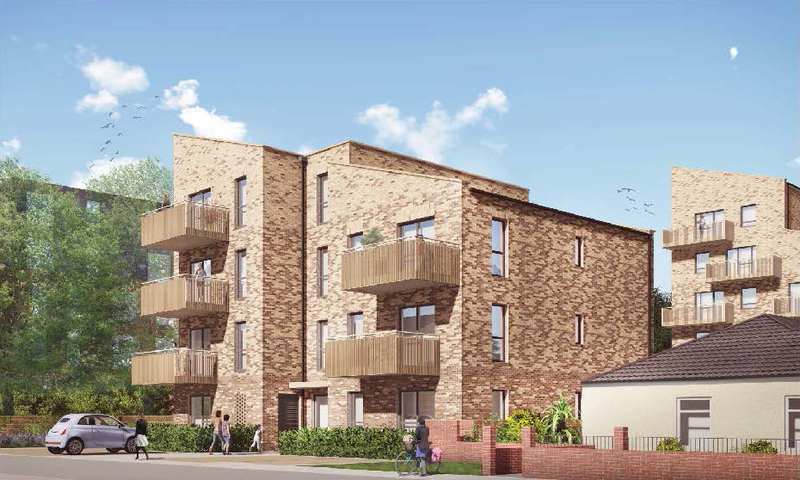 Each of the larger flat blocks have wheelchair units on the ground floor, with level thresholds providing access to private rear gardens or terraces to suit the level of the ground around the site. There is a separate communal garden for each block. Homes on upper floors will have private balconies.